I've been tagged by Tina at A View from a Hill. I don't know who started this game. But I feel like playing so I'll join in. To play, I must answer a few questions. I'm sure you are dying to know some more about me so why not? 1. What’s your staple meal (ie. what meal do you cook most often when you can’t be bothered to be adventurous)? That's easy...Favorite Pasta...and I'll even share the secret recipe. 2. What do you want to be when you grow up? This is basically a cleverly disguised version of "where do you see yourself in X years?" I can not, and have never been able to, answer those questions. I'm sure that is some sort of character flaw but I refuse to answer. 3. What book are you reading at the moment (if any)? "The Line" by Olga Grushin and "Leonardo's Legacy" by Stefan Klein. I always have one fiction and one non-fiction going at the same time. 4. How do you relax? It's not how, it's where. On The Porch. 5. What color are the interior walls of your home? Are you familiar with Pottery Barn? Those types of colors...Shaker Beige, Chestertown Buff, Camouflage and the like throughout the living and sleeping areas. Red Oxide on the kitchen and dining room walls. 6. What is your guiltiest pleasure? I'm not sure I have one. I enjoy lots of things that I probably shouldn't. But I don't feel bad about it. But I'll have to say Starbucks just because it is ridiculous to pay that much for coffee...but it is soooooo good! 7. What time is bedtime and getting up time? It depends. Weekdays - up at 6:30, bed at 11. Running days - up at 5:45, bed as early as I can (9:30) Weekends - up somewhere between 5:45 and 8 (if not running and very lucky), bed somewhere between 10:30 and 12:30. Consistency is not something I do. 8. How long do you spend reading blogs (per day or per week)? It depends. There are only a few I hit regularly. 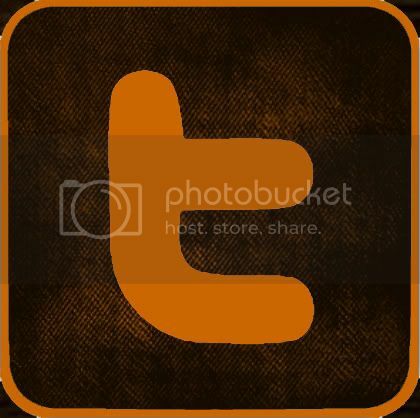 Some of those are photo blogs and the posts are short, focused mainly on images. Others are more verbose which require more time. So really the answer to this depends on all of you whose blogs I read. But I am definitely cruising the blogosphere everyday for some amount of time. 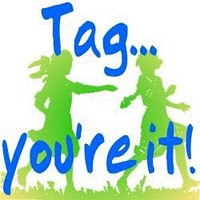 So as with any respectable game of tag, I was tagged and made to be "It". Now I, as "It" must tag another. Two others to play by the rules. So I tag Sincerely Shannon and Just...a moment. You're IT! Thanks for the tag ... I'll tackle a couple of the answers here as my life is quite mundane! The kitchen/dining area in my home is a gold that warms the brick in a fireplace wall that separates the kitchen and living room. There is a soft green/tan color that blends in the open area that leads to the bedrooms. The whole house is very open so one area pretty much flows into the other. My guiltiest pleasure would probably be the amount of chocolate I could consume if I kept it on hand ... it is a major food group in this house. Because of our short summers, I prefer to leave the reading for the winter months when I can't be outside. Mysteries are my favorite though when I do read ... and books with quotes and poetry. Online time varies ... probably too much most of the time. But there are so many great people here ... like you. Thank you for including me.